↑ "Senescence – definition of senescence by The Free Dictionary". Thefreedictionary.com. Retrieved 2016-04-04. ↑ "Gerontology – definition of gerontology by The Free Dictionary". Thefreedictionary.com. Retrieved 2016-04-04. 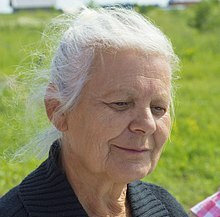 ↑ "Geriatrics – definition of geriatrics by The Free Dictionary". Thefreedictionary.com. Retrieved 2016-04-04. ↑ "Jeremy Hunt highlights plight of 'chronically lonely' – BBC News". Bbc.co.uk. Retrieved 2016-04-04.